Majestic Concrete Design Launches New Website. iSite Marketing, an online marketing company, has been named as the web design firm for Majestic Concrete Design. Nino Piombo, founder and CEO of iSite Marketing, announces that his company has been named the agency of record for Majestic Concrete Design. 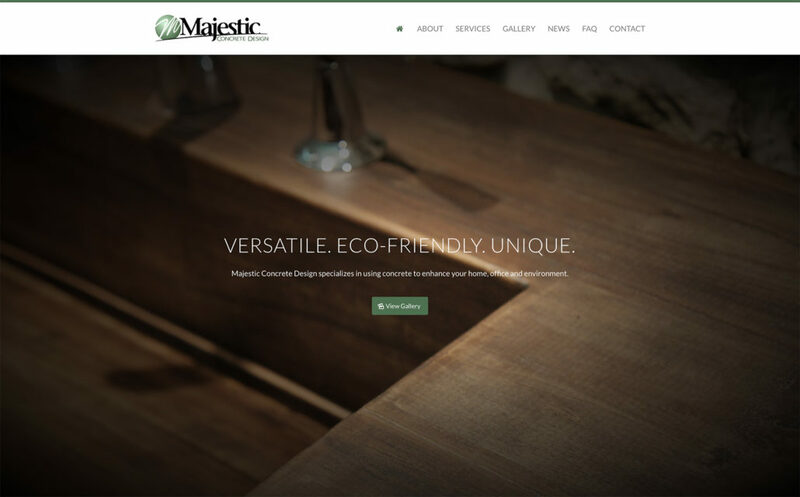 The New Jersey based online marketing agency has re-designed and launched a brand new website, www.majesticconcretedesign.com, which provides prospective and established customers with useful information and company orientated resources. iSite Marketing is honored to work with this renown concrete company and excited to be involved with a service that have become so widely recognized in the Eastern Pennsylvania and New Jersey area. “As a small company our strength and core focus is with providing personalized attention to each customer, while maintaining only the highest level of integrity. Our goal with the re-design of the Majestic Concrete Design website was not only to provide a user-friendly site but the ability to educate their customers about the services they offer and why they are unique providers of concrete design services.”, says Piombo. Majestic Concrete Design is located in the Lehigh Valley in Easton, Pennsylvania and provides concrete services to all of Northampton, Lehigh, and Bucks counties – including Easton, Allentown, Bethlehem, and from the Lehigh Valley to the Greater Philadelphia Pennsylvania and New Jersey region. They specialize in concrete countertops but their passion is design and creativity using stone based materials.